Natural disasters movies are probably, and arguably, the best escapism movies in Hollywood. There’s something about watching cities and monuments getting destroyed that we see every day or want to visit. 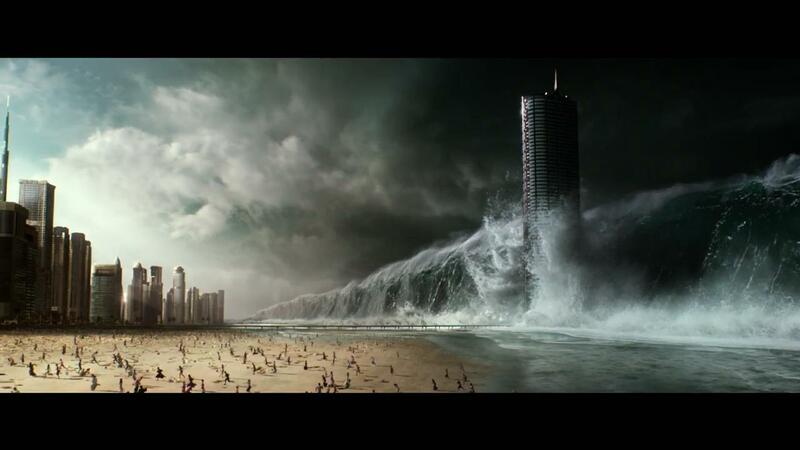 But, let’s be honest, natural disaster movies have kind of lost their luster. There’s only so many times you can watch the Statue of Liberty get destroyed, or a massive wave destroying a city. Eventually, everything is going to get done, so you’re left with trying to do something different. Off that note, Geostorm already had an uphill battle against the plethora of other natural disaster movies, so it decided to include all of them, and add the sci-fi element of a machine that can control the weather. Does it sound ridiculous? Of course it does! But we’re talking about people being able to control the weather with a machine. Oh, and it’s directed by Dean Devlin, who has produced all those disasters movies. Geostorm is set in a world where after climate change has gotten so out of control, the world leaders finally band together to create what is dubbed “The Dutch Boy,” after the story of a boy who stops his town from flooding by putting his finger in a hole. The Dutch Boy is a series of satellites that control the weather from the International Space Station, the creator of the program is Jake Lawson (Gerard Butler), but it taken away from him after a series of events and given to his younger brother, Max (Jim Sturgess), who then has to fire him. We skip forward a few years, and after dangerous malfunctions starts happening, killing thousands of people, Max finds Jake and sends him back to the station to figure out what’s going on. Meanwhile, Max, who is having a secret relationship with a secret service agent played by Abbie Cornish, deals with the problems on Earth as much as he can, before finding out there is something bigger to the whole picture. Now, the two brothers have to put aside their different and stop whoever is using the Dutch Boy as a weapon, and save the world. 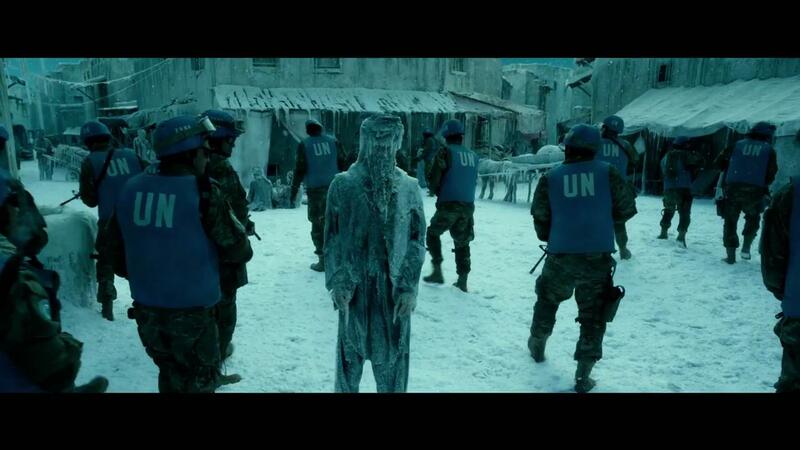 I didn’t want to dislike or hate Geostorm, unfortunately the movie doesn’t do itself any favors. Like I said, Geostorm had an uphill battle from the beginning, and it also didn’t help that the movie came out after real natural disasters that people are still recovering from. Moreover, the movie did end up doing a lot of reshoots to apparently fix a lot of issues (I can only imagine what those were). That’s not to say Geostorm doesn’t have some good aspects to it. There are some dumb popcorn-movie entertaining moments, and some descent funny lines, but the movie doesn’t really have anything groundbreaking that we haven’t seen before. It’s a rather safe natural disaster movie which kind of defeats the purpose on the genre. All in all, Geostorm is an uninspired natural disaster movie that never really capitalizes on its own “new” concept. 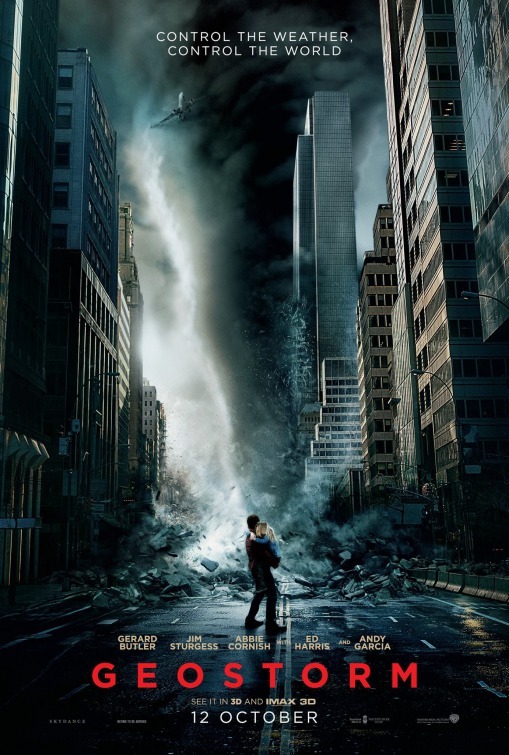 The acting is borderline flat, with the destruction being a mix-match of things we’ve seen before, but more importantly, Geostorm is rather predictable with its twists, which take you out of the movie a bit. Like I mentioned, I didn’t want to dislike or hate Geostorm as much as I did, but the movie didn’t do itself any favors. Synopsis: Several years after the tragic death of their little girl, a dollmaker and his wife welcome a nun and several from a shuttered orphanage into their home, soon becoming the target of the dollmaker’s possessed creation, Annabelle. The Conjuring unexpectedly started its own universe when it was released back in 2013, when the studio decided to give the Annabelle doll its own movie a year later. Annabelle acted as a prequel to The Conjuring, showing the horrors of the haunted doll before landing in the Warren’s Cursed Object Room. While I enjoyed Annabelle for what it was, it wasn’t all that great to me. However, everything about Annabelle: Creation in the trailers and TV spots was great and promising. I was lucky enough to see an advanced free screening of it, and good god did this scare the crap out of me. 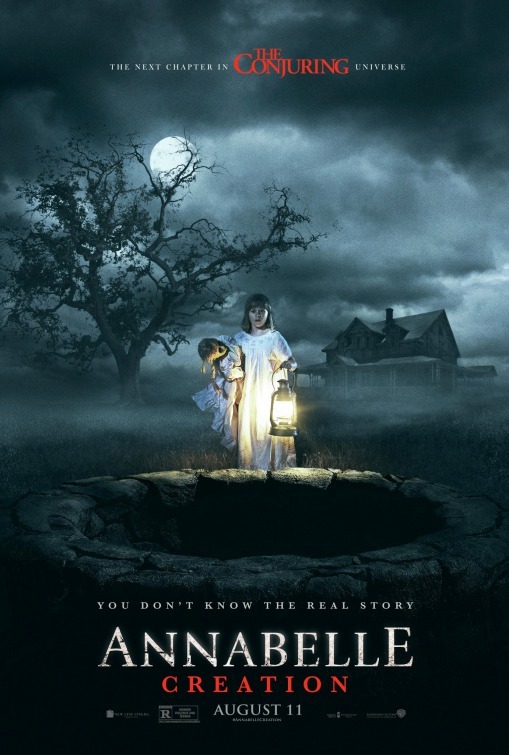 Annabelle: Creation is set in the 50s and follows a dollmaker, Samuel Mullins (Anthony LaPaglia) and his wife Esther (Miranda Otto) who after losing their daughter Bee in a tragic and sudden accident, believe they are visited by her spirit who wishes to live within a doll. However, they soon realize something sinister surrounds the doll and they lock it away. 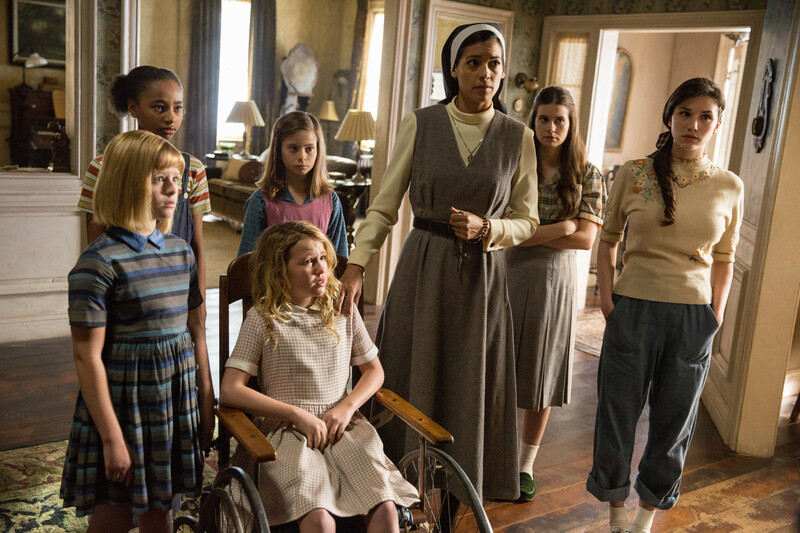 Years later, they take in a group of orphaned girls lead by Sister Charlotte (Stephanie Stigman), thinking it would be good for them. 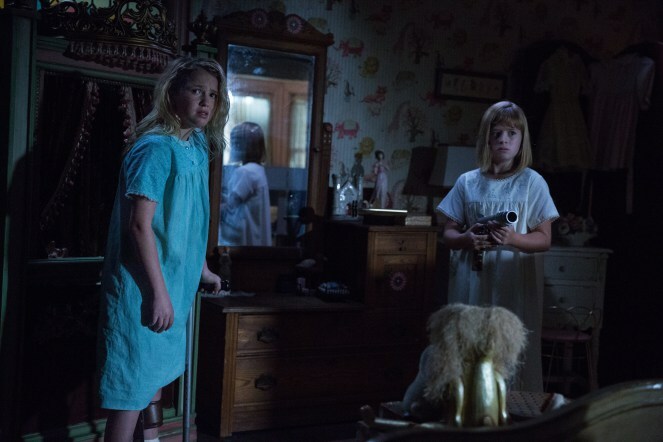 The two main girls we follow are Janice (Talitha Bateman) and Linda (Lulu Wilson), and of course, Janice ends up finding the doll and starts to unleash an evil amongst the house. Despite the first Annabelle being just okay, Creation ups the ante in every way possible. Right from the beginning we get just a little creeped out by close-up shots of Samuel making the dolls, but it’s followed by seeing this family being happy before Bee’s accident. From there, we jump forward a couple years and we see the former happy home a little beaten up as the bus with the orphaned girls comes driving up the dusty road. Thankfully, we get a feel for some of the characters from the get-go before everything starts going to hell – not literally, but you know what I mean. The cast is pretty solid, although you got big names in there like Anthony LaPaglia and Miranda Otto in there, the film belongs to the young co-stars, more specifically Talitha Bateman’s Janice and Lulu Wilson’s Linda. As you spot from the trailers Janice finds the Annabelle doll and starts to experience weird and unexplainable things. She believes this is because she’s the weakest because she has Polio, and walks around with a crutch. It’s Bateman’s raw emotion that really makes us scared for her and wishing that someone would come in to save her. As for Wilson, she already has horror acting chops in last year’s – surprisingly good – Ouija; Origin of Evil, although here she plays for human side as opposed to the demon side. However, it’s also the friendship and bond that Janice and Linda have that makes the film great. The two want to find a home, preferably together, and we believe the friendship they have, which makes it somewhat gut-wrenching to see their friendship get tested when Annabelle shows up. The rest of the cast is okay, Philippa Coulthard’s Nancy and Grace Fulton’s Carol have their own experience with the Annabelle doll and what she can affect that leads to some pretty cool scares, but they are usually followed by two other girls that somewhat disappear throughout the film only to reappear near the end to experience the mayhem. Stephanie Sigman’s Sister Charlotte doesn’t get to do a lot in the film, but does have a big scene with Miranda Otto – who also doesn’t have a ton of screen time. Anthony LaPaglia’s Samuel plays the stricken-father to a tee, but it sometimes comes off as creepy and way too cold. Director David. F. Sandberg does an incredible job setting everything up with his cinematographer Maxime Alexandre, because Sandberg loves to play around with darkness in film. Much like his last film Lights Out, which James Wan also produced and was based off a short of Sandberg’s, Annabelle: Creation’s scariest and most horrifying scenes take place once the sun drops and the lights go out. Obviously, this is standard amongst all horror films, but there something about Sandberg’s approach to it that makes it all the more horrifying and great to watch. 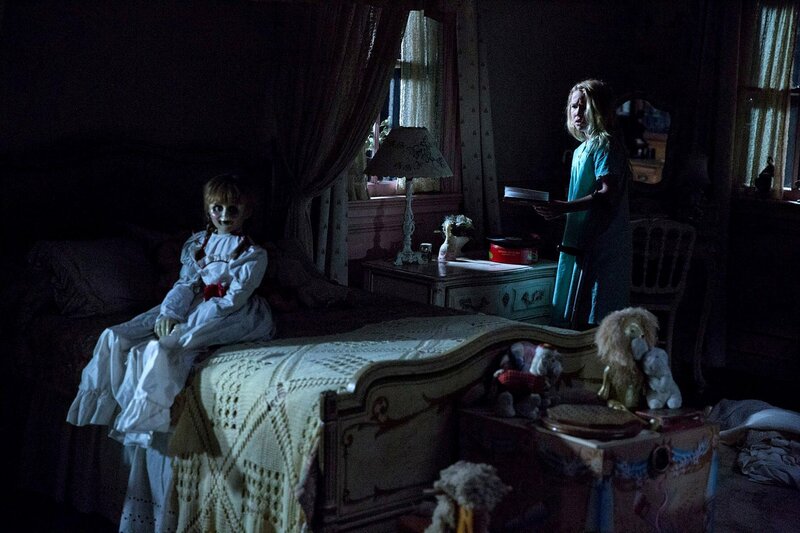 All in all, Annabelle: Creation is a great addition to the new Conjuring universe, and dare I say is one of the best films yet. The scares are top notch, the two leads in Talitha Bateman and Lulu Wilson are great and it’s horrifying to watch. I definitely recommend watching Annabelle: Creation in the biggest, loudest and darkest screen possible.